The Breda 12” handguard weighs in at just 10.7 oz and is hard anodized flat black. The Breda 16” handguard weighs in at just 13.5 oz and is hard anodized flat black. 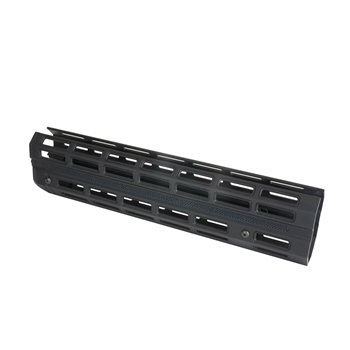 Please Note: 12 inch handguards will work with a factory forend nut, however to ease disassembly we recommend the use of either our magazine cap weight or a magazine extension. 16 inch handguards will require the use of a magazine extension with a permanently attached forend nut to allow disassembly of the gun.